Great teams like great people are tempered in the crucible of fire and the Oregon softball team is stepping into this proverbial crucible: Nine games far from home in six days, eight of those games compacted into four double-headers, four against ranked opponents. Last week the Ducks started the season strong, winning six straight in Arizona at the Kajikawa Classic. Cheridan Hawkins earned Pac-12 pitcher of the week honors, holding her opponents scoreless and notching two wins and a save in four appearances in Tempe. Freshman Jenna Lilley was named the Pac-12 player of the week in her first college action, hitting 10 of 19 for an average of .526 during the trek through the desert. Both Ducks must play their best in the upcoming road trip through Texas. Starting Monday, the Oregon women jump into the fire, opening in Houston on Feb. 16th with a double-header against the 3-4 Houston Cougars. 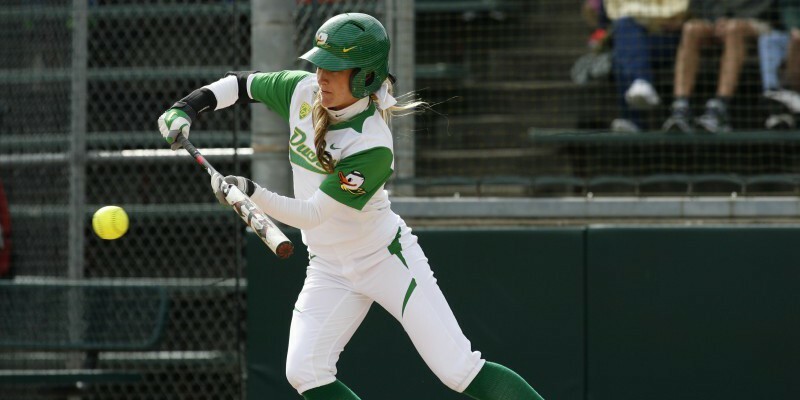 After their only rest day on the southland swing, the Ducks bus a hundred miles north to College Station, Texas where they’ll play another double header; the first game against Sam Houston State and the second against No. 23 Texas A&M Aggies. The next day the Oregon team journeys five hours back down the highway to sun-baked Waco for the Baylor Invitational. Out of they box, they’ll face the No. 9 Baylor Bears. The Bears are anything but easy; last year they made it to the final four of the Women’s College World Series before getting knocked out by the eventual WCWS champion, Florida. Baylor is a program on the rise and they return their two top hitters, Kaitlyn Thumann and Jordan Strickland. Bear all-time ace, Whitney Canion graduated last year but her replacement, Heather Stearns is a capable backup and earned a 15-3 record in 2014. The Ducks’ depth will be tested when they meet Baylor again on February 21 in the back half of their final double-header. In between the Baylor games, Oregon will face Abilene Christian, North Texas and No. 22 Tulsa. But the final Baylor game will be an important gauge of the emerging season. How will a tired Duck team cope with the hit when they play a national championship contender in a hostile environment? As is the norm for this early in the season, catching the Duck women on the tube will be difficult. The Texas A&M game will be streamed on ESPN3 and the Houston and Waco games will be available through subscription to the CBS College Sports Live streaming site. As always check with FishDuck.com for updates on your favorite Duck teams and players.